The Next Chapter columnist reviews Dirty Kids: Chasing Freedom with America's Nomads. At the age of 22, Chris Urquhart left her middle-class life to live with and document the lives of nomads, wanderers and runaways. 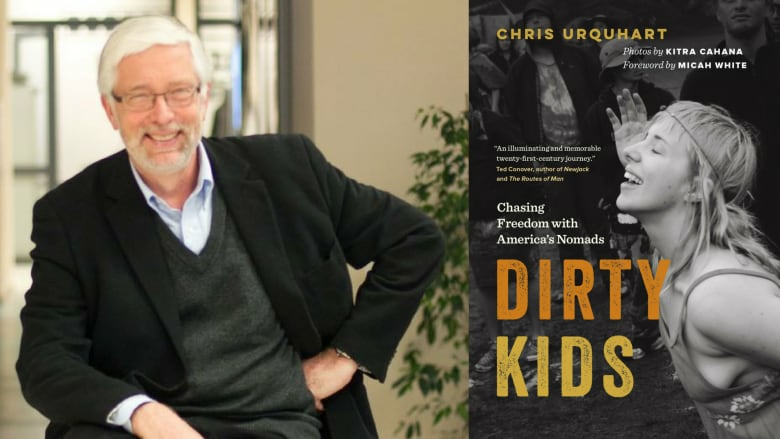 In her book Dirty Kids: Chasing Freedom with America's Nomads, Urquhart describes different groups and subcultures who travel from place to place with little or no money and who have rejected conventional lives and homes. Columnist Antanas Sileika has read Dirty Kids and shares his personal interest in this subject. "The dirty kids come in a variety. The older ones are hippies. Some of them have problems with mental health. Some of them are runaways. Some of them have drug problems, but some of them just find they can't fit in anywhere. There's an introduction to the book by Micah White, one of the organizers of Occupy, who talks about sovereignty. Sovereignty in this case means freedom and a control of oneself. So people who are after extreme freedom don't want to be bound by rules. They consider people like us — people who have habits and go to work— to be living in Babylon. They want to break free from this. Yet, it's so hard to generalize them. What they do have as a common denominator is extreme democracy and extreme acceptance. No matter how dirty you are — no matter how poor you are — everyone is taken care of. It feels like a family on the road." "For me, the difficult part was understanding Chris Urquhart, who wants to join this tribe of travelers. She's attracted and repulsed by them at the same time. I can't quite understand this. People like me, who come from an immigrant family, were unwilling travellers. My parents were refugees after the Second World War and the stories that they told were horrific. They had lost everything and had placed upon my generation this desire to somehow have a regular life. But I think what happens is that one generation later, there's a level of comfort which younger people, in particular, feel the need to break away from. Let's not forget it's not always a choice. Sometimes people come from horrific family circumstances, or their internal demons put them out on the road. I'm fascinated by this — by a world that is so vastly different from anything that I would choose." Antanas Sileika's comments have been edited and condensed.